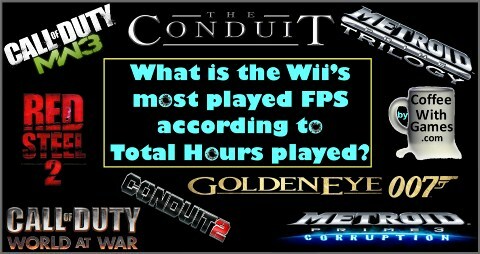 Coffee With Games: The Wii's Most Played FPS by "Total Hours" Is? 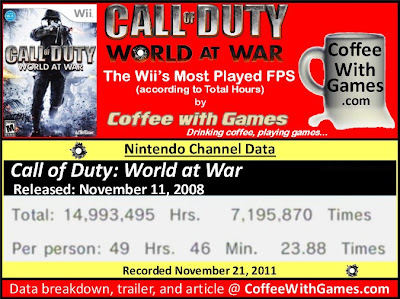 Call of Duty: World at War is the Wii's most played FPS game, according to the "Total Hours" reported on the Nintendo Channel. World at War was released on November 11, 2008 for the Nintendo Wii and was the first Call of Duty Wii game to have online multiplayer. The game was developed by Treyarch, and published by Activision. It received an ESRB rating of "Mature" with "Blood, Strong Language, Violence" listed as content for parents and gamers to be aware of. World at War does have a "content filter" that allows players to have certain violent scenes and some language removed from the single-player campaign, if they wish to enjoy it without all the "Mature" content. The data displayed in the image below is for game-play hours reported from Wii owners, again through the Nintendo Channel, over the last 3 years; with 1,105 days possibly reported. Call of Duty: World at War now has 301,334 Wii owners that have reported data through the Nintendo Channel over the last 3 years. Wii owners playing World at War have averaged 2 Hours 5 Minutes for each session/day they sit down and play the game. The nearly 15 million "Total Hours" of game-play reported are equivalent to over 1,700 continuous years of game time. That's 24 hours a day, 7 days a week, 365 days a year for 1,711 years of nonstop FPS action. While World at War released with a MSRP of $49.99, you can now find the game on Amazon.com for under $30 HERE, and GameStop.com for under $20 HERE. 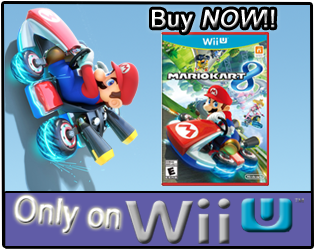 To quote IGN's Modern Warfare 3 Wii reviewer again, "The words 'Wii' and 'online multiplayer' aren't used in the same sentence very often...". While that quote is perhaps true of general video game sites like IGN, I think it's only from the lack of understanding that there is a Wii FPS audience, and one that enjoys the FPS genre very much. 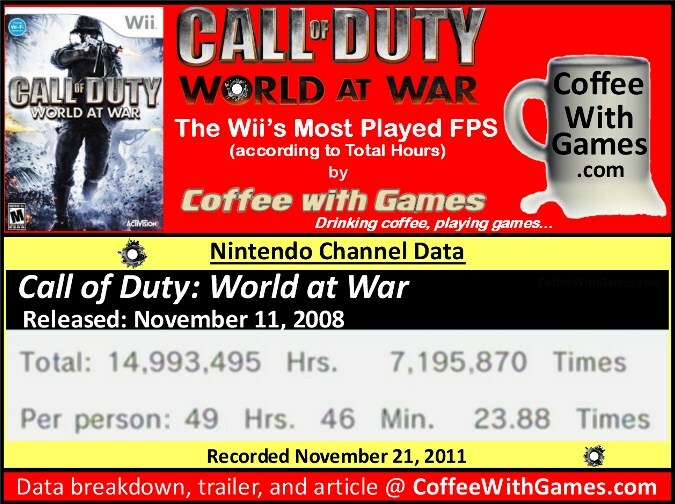 While the image above shows my reported play-time with the Wii version, it doesn't show the many hours I spent playing World at War on the PS3 with my friend Keith, from RespawnAction.com. The Wii version lacked the multiplayer Zombie mode, and you can read how I came to own the PS3 version of the game HERE, if you missed it. 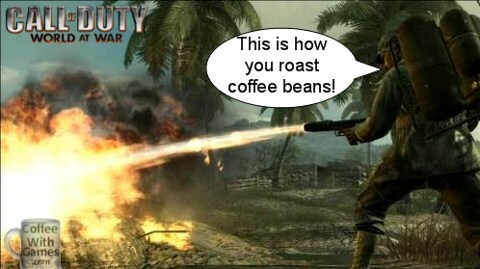 Have any of you played any version of Call of Duty: World at War? 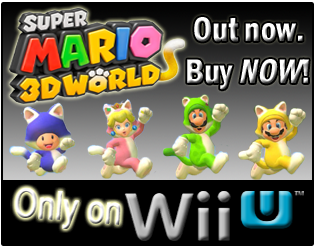 If so, did you enjoy the game and do you perhaps still find yourself playing it? Are any of your surprised that World at War is the most played Wii FPS by Total Hours, or did you guess it before even seeing it? It was okay. I don't remember if I reviewed it or not. With the Wii out of service, no, I have not played it recently. I too say it was okay as I'm really disappointed by the game because of hectic lag sessions although they have launched the patch and problem is solved but first impression is the last so for me it disappointed me a lot after getting it.